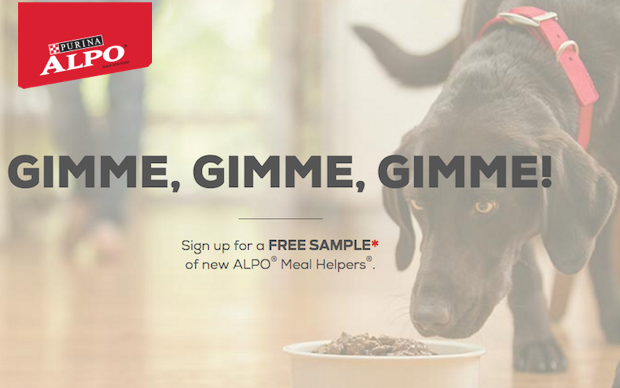 FREE Sample of Alpo Meal Helpers! You are here: Home / FREEbies / FREE Sample of Alpo Meal Helpers! Fill out this online form to get a FREE Sample of Alpo Meal Helpers! Mix it. Top it. With the variety and convenience of new ALPO Meal Helpers, the choice is yours. But the flavorful and meaty taste – that’s all his.